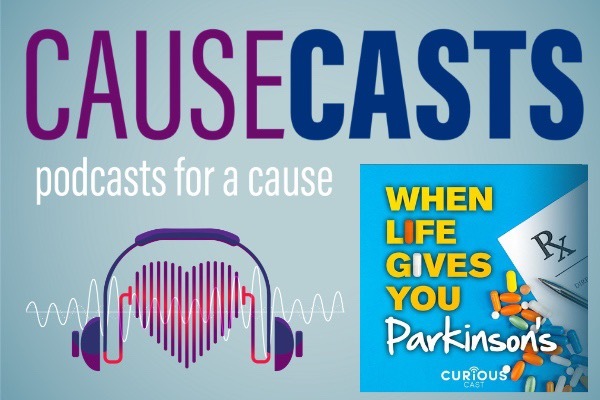 When Life Gives You Parkinsons is a podcast that has partnered with Parkinson Canada and here at Causecasts we are in support of both wonderful operations and would like to help contribute. From Parkinson Canada's website: Since 1965, Parkinson Canada has worked to provide support services and education to people living with Parkinson’s disease, their families, and the health care professionals who treat them. We advocate on issues that affect the Parkinson’s community in Canada, and we aggressively fund innovative research for better treatments and a cure. Larry Gifford, host of the When Life Gives You Parkinson’s podcast was our guest on Causecasts this week. Larry, who has been in the radio and podcasting sphere for many years now, was recently diagnosed with Parkinson’s. He found that he wanted to find information and solace in the form of podcasts, a source of information for him already. When this search proved unfruitful, he decided to create the podcast that he needed himself and this is how When Life Gives You Parkinson’s was born. In our discussion, we look at the genesis of the show and some of Larry’s personal experience around symptoms and difficulties with his diagnosis. Larry shares some of his ideas for staying positive and upbeat despite the nature of the disease, before we move onto Larry’s thoughts on the podcasting format and his advice for prospective creators. We discuss the efficacy of audio as a means to communicate and some simple ways to get your message further afield, and into the ears of the right listeners. For a great chat with a great Causecaster, be sure to tune in!